How to program our mind towards self-empowerment, health & happiness. This book is for one and all who desire to create positive health. There is a growing awareness about the importance of breathing and breath regulation through yoga (pranayama). 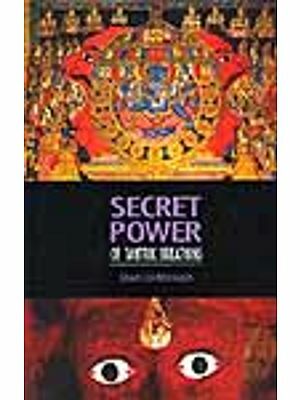 Renu Mahtani, a physician trained in conventional medicine but with a deep commitment to yoga practice and therapy has succeeded in blending science, ancient wisdom from the yoga texts, and practical knowledge, in a way which is unusual and makes the book ‘Power Pranayama’ definitely worth reading. Technical terms are dealt with in a way which can be easily understood by a person with no specific knowledge of medicine. 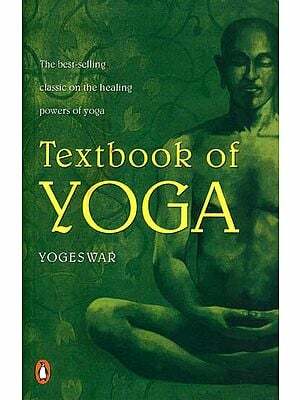 The book has many therapeutic applications of pranayama. As a regular and long-standing practitioner of Pranayama for the last half a decade, I have experienced and enjoyed its benefits. But even for a practitioner like me, the book proved to be an extremely useful read. The book brings out the theoretical and practical aspects of Pranayama. It is enriched by perceptive quotes from various authorities. 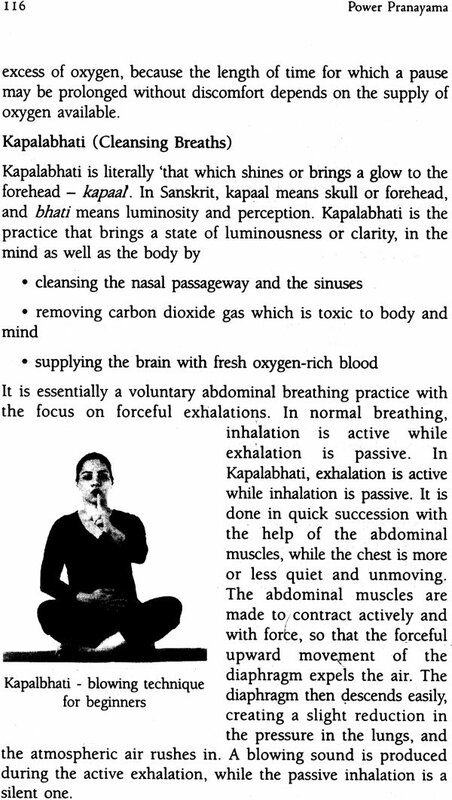 It provides the logic for various parts of Pranayama and also indicates the potential benefits. Dr. Renu Mahtani brings her expertise both as a qualified MD and as a passionate teacher of Pranayama. My compliments to Dr. Mahtani for such an excellent book. I would strongly recommend this book to anyone who has an interest in living a healthy life. —Ravi Pandit Chairman & Group CEO KPIT Cummins Infosystems Ltd.
Indian sages of yore have given the science of Yoga and Pranayama to give the agitated human mind some tranquility and help elevate its Godliness. In this book, the whole science and the art of the procedures are explained in lucid language for the reader to follow in his own way I recommend this book very strongly. It gets very high marks in my assessment. May Dr. Renu’s book be the beacon light for practitioners of those sciences for all times to come. The book is probably, the best ever Handbook of Pranayama for Health, Happiness and Harmony. It contains everything right from conscious breathing to the state of a total Self harmony, all attainable through the methodical process of Pranayama. The author communicates that the breath is the physical counterpart of the mind and the act of conscious breathing is verily the mind in a positive action. It holds a very practical promise to the modern man, showing how breath is the vehicle to identify stress, as well as, an unfailing barometer of relaxation. The implications of Pranayama to the brain and mind and to common disorders of health, have been dealt with most pragmatically. Breath could be called the ‘wonder drug’, a panacea to our modern time problems of health — physical, intellectual and emotional! Pranayama and breath awareness have stood the test of time and now even scientific researchers are proving their value and uniqueness. Written by Dr. Renu Mahtani, MD (Medicine), a practicing physician from Pune, ‘Power Pranayama — Discover the healing potential of your breath’ is a knowledge based book, with a strong foundation of relevant anatomy, physiology and the body- mind dynamic. The techniques and the concepts are supported with logical explanations to satisfy the quest of our ever enquiring mind. The book deals with the transforming power of Pranayama in a very scientific way, not just for the body but also for the mind. The educated young and middle aged professionals are commonly facing mental unrest, irritability, emotional lability, insomnia, lack of energy and ill health! Devoting just 15 minutes a day to Pranayama can transform them and improve their performances in their respective fields with a positive drive! The importance of good breathing, breath awareness and mind management, is the need of the time, not just to keep the body but also to get a focused and balanced mind-set for success in icy avenue of life! What led me to discover the amazing healing of pranayama. I am one of the blessed ones- a physician who is still evolving towards the better. Practicing medicine is not just a profession for me platform that has brought me closer to humanity. With, my approach towards health has changed. The vision towards illness and health is getting wider day-by-day. I have realised that illness don't come to us, but we are the ones who create an inviting environment for them. Everything contributes to our health- how we work, our activities, what and how we eat, how we think, our emotions and relationships, and our attitude towards life. In the normal course of life we take our health for granted; it is only when we are struck by a chronic disease that we wake up. Resorting to medical help is the first step for most of us as symptom relief is of prime concern. However, medicines can keep the situation under control but cannot eradicate the disease. The Symptoms resurface if the treatment is stopped and often, despite taking medication, things move from bad to worse. It is only then, and usually out of compulsion, that we decide to adopt a different lifestyle. The first step is to eat healthier food and engage in regular exercise, and we are pleased to observe that our attitude to good health has a new zeal, a new hope. On seeing people whose health did not improve despite taking medicines, watching their diet, exercising and doing the things one normally does during an illness, I started to realise that we doctors are not really justifying our identity as healers. We prescribe medicines that can reduce the symptoms superficially or maybe modulate the disease. However we have no control over, and honestly do not know how to avoid, the side effects of medicines. How can we then talk of curing someone? My own affliction- psoriasis, a chronic, nagging stubborn skin disease was an eye opener! I came to realise that looking at the site of disease, i.e. lungs for asthma, joints for arthritis, and skin for psoriasis, is very superficial. What we see and perceive is the physical evidence of something actually happening deeper inside. One can treat the ailment with medicines at the physical level, but the disease may persist longer or maybe forever. It is like looking at the tip of an iceberg and assuming it to be where the disease originates. One can keep chipping away at the tip with medicines, but the iceberg will never disappear. As long as the giant remains hidden, it will never disappear. As long as the giant - repressed and suppressed thoughts, strong grudges we keep holding, and unresolved emotions like fear, doubt and attachment- all lead to a vicious cycle of events that not only initiates but also perpetuates the disease. Each thought, each experience of life creates chemicals in the body corresponding to the type of thought. So without mind management, to medicines, no exercise, no diet will have real results. Mind-body management is the crux of health management. If we want any chronic ailment to get cured, we need a master key that can break both the tip and the large submerged part of the iceberg. That master key is pranayama -the breathing practices of yoga! I started the berating exercise with the primary aim of purifying the blood and cleaning the body of toxins. With regular practice, I started feeling the effects of pranayama not only on the body but also on my mind. Pranayama lifted the veil over my mind and opened the doorway to a clearer vision towards holistic health. Our relationship with breaths tends to be direct, simple and proportionate as our breaths actually represent the state of our mind- agitated and hot when angry, and clam and gentle with mental relaxation. The dense clouds of unending random thoughts divert the mind from wise thinking. As the breaths get deeper and slower with regular practice of pranayam, the mental chatter settles down and the mind gets reframed and composed. When a running film slows down, we can see each frame of the picture separately. Similarly, as the breaths slow down, we see each frame of life more clearly with a third person attitude! This allows our inner wisdom to take over any situation in life, promoting correct decision making and subsequent action. This is what prnayama does through the practice of slow yet complete breaths. It guided me to the philosophy of living, opening the doors towards healing. How? • I learnt that I was as vulnerable to illness as any other human being. • I realised that 'fighting' with my disease would be to set up a pointless no-win battle with my disease would be to set up a pointless no-win battle with myself. Instead, I tried to develop a little detachment and the subsequent objectivity to stand back from what was happing and looks at it without getting overwhelmed. • I learnt to embrace my problem instead of recoiling from it. • I learnt to love my body instead of hating it. • I decided to address the cause of my disease by going deeper inwards. Instead of treating the symptoms from outside, I decided to move from inside out so that the healing could be complete. • During the still moments of pranayama, I was able to identify the unresolved emotion that had triggered the disease. It taught me that however unfair or undeserved an experience may seem, every experience has a lesson- the more painful the experience, the more important the lesson. Our job is to learn from it, forgiving and forgetting so that we can move on. • I learnt to acknowledge and accept the realities in my life that I was struggling to change. • It gave me the inner strength to cope with all that had happened to me. I forgave those who had deeply traumatised my emotional balance and also forgave myself for my reactions. These powerful words helped me substantiate my thought process: the crux of all healing is forgiveness!